Magical Beachfront Luxury Home Paradise steps to Private Beach, Heated Pool! Our 3,200 square foot barrier island home will leave you speechless! Conveniently located on a cul-de-sac, within steps of the ocean, it has private access to a breathtaking, wide and secluded, endless beach. From this gorgeous sandy beach, you can experience the wonder of giant sea turtles nesting, broad variety of seabirds, or even watch a rocket launch, or skydivers as they land. Our veranda and large lap pool area is an all-time favorite, for taking siestas in the poolside hammock or the outdoor daybed. It is also wonderful for grilling and beautiful outdoor dining, or just for relaxation and conversation in the comfy padded swivel chairs. We have four spacious bedrooms, two of which have king size beds and large TV’s. Each of the four bedrooms comfortably sleep two guests each for a total of eight guests. There are 3 baths inside, including one with a relaxing, two person jacuzzi hot tub, and two hot and cold showers outside, one of them even inclosed for privacy. Your perfect days at the beach will include kayaks and surfboards, beach chairs and umbrellas, beach towels, kites and beach toys. There is also table tennis and a basketball hoop, All these provided for you. Take our cruiser bikes just a mile away to explore the charming town. Golfing, fishing, boating, tennis, surfing and all water sports are available in an instant. Located just a short drive from Disney’s Beach Resort. Above all, this home is a dream-come-true for creating family memories. Come experience paradise! I fell in love with Vero Beach in the 1990’s, when I brought my two young boys here from Fort Lauderdale to learn surfing. I liked Vero’s barrier island so much that I sold my medical practice and moved here. Now that the boys are grown up and on their own I love sharing the magic of my Surf Lane home with those who appreciate this very unique part of Florida as much as I. My early years were spent in an American-staffed International school, followed by medical school, in Colombia. Though my parents were of modest means they managed to make sure all six of us were at least bilingual by graduation. After Residency in the Panama Canal Zone U.S. Army Hospital I completed my Pediatrics training in Orlando, then practiced Pediatrics for the better part of two decades in south Florida. I take personal pride in hosting guests at Surf Lane, and enjoy doing everything I can to make their vacations memorably wonderful. Vero Beach’s barrier island, between the placid Indian River lagoon (inter coastal waterway) and miles of fine sandy beaches on the Atlantic ocean, is very unlike most other parts of Florida – little traffic most of the year, tasteful and carefully planned commercial development (two story limit except for two grandfathered 9 story buildings), tranquil neighborhoods, and almost no souvenir or t-shirt shops. The beach a hundred steps from my Surf Lane home is near a lifeguard station where more than two dozen bathers may only happen during Spring Break. My Surf Lane vacation home is at the end of a cul-de-sac in a tranquil neighborhood, one home from the ocean. It is close enough to highway A1A to be convenient, but far enough to be quiet and peaceful. The location affords instant private beach access, yet is shielded from constant wind and sea spray, and rents at more economical rates than ocean front homes. toilet, combination tub/shower, double sinks. Walk directly from our wonderful pool area to the azure waters of the Atlantic, just 150 ft away. Place fresh footsteps on the sand in the morning. Listen to the rhythm of the waves in the evenings. rentals at marina, 5 minutes away Sail the lagoon at sunset, watch dolphin and manatees, waterski, all water sports in the ocean as well. deep sea fishing. Airboat rides all types of boats. within 5 minutes. Many private clubs as well as tennis clubs open to the public. Hard try courts and hard courts available. Heated, larger than standard. Heated upon request as gas for heating the pool is charged separately at end of stay. It is charged at cost as per exact meter reading of gas used. Our family of 7 spent Christmas at Maria's lovely home in Indian Shores at the end of a quiet street just a short 1 minute walk to the beach.The home has wonderful gathering areas; the outdoor pool area is gorgeous. The weather was on the cool side for most of our stay, so we didn't use the pool, but we did spend time on the beach, which is lovely. The house is very comfortable; kitchen is well-equipped. We didn't use the outdoor grill, but we did enjoy breakfast outdoors on the lovely patio every morning... peaceful and serene way to start the day. Our time passed much too quickly - we didn't get to use the ping pong table, and the waves were too big for the kayaks and boogie boards, but it's great having those amenities available. We did enjoy riding the bikes up the street to the Village Shops and to the Village Beach Market - both very easy and pleasant bike rides. Having bikes is a really nice bonus. Maria was very helpful and accommodating and couldn't have been sweeter. Many thanks for the lovely tree and for helping to make our Christmas together special. Highly recommend staying at this lovely home! Thank you Jorie for your lovely review. It is my greatest reward as I love what I do. You were wonderful to work with from day one with your great and uplifting communication skills. I hope to meet you next time! Great home for a large family with babies. We found everything we needed, 2 high chairs, 2 pac n play infant beds. The kitchen is well equipped. The pool patio was the place where we gathered daily. Simply a wonderful family time. Will come back soon. Great spot for family vacation! This house was very nice and included all amenities. The owner, Maria, was very easy to get in touch with and communicate with and was very responsive. The house is in a good section and the beach is just a short walk out the back down a private path. My children enjoyed the pool at the house. I would recommend the house and Maria! Great location with beach a short walk out the back door. Pool is a plus to have when the beach is hot. Owner is extremely. helpful and checks in with you. Although, equipped for families, there are a lot of nick nicks that young children can get a hold of. We had to remove a lot of those items and put out of the children's reach. Recommendation: put proper shades/blinds on the windows. Most of them have a sheer curtain with rod and do not shield the bright light in the morning. The windows are arched so the top section has nothing on it. My family and i loved our stay at this home everything we needed was there, the home is beautiful. The pool in the house is paradise,short 1 minute walk to the beach on private path was the best part of all. Pictures dont do justice you have to see it to believe it .Thanks Maria for sharing your piece of paradise with us. Maria - many thanks for a wonderful stay, we had a great holiday. Your villa is very spacious and well equipped with everything we could have wanted ... the table tennis was an added bonus!! The location is great and easy to get into the town as well as the beach and there's lots of activities to do nearby. Thanks again. Thank you Graham for your review. It was wonderful to have you and your family stay and enjoy the home and the lovely town. You were the perfect guests! I thank you also for the peace of mind I had about the home from just speaking to you over the phone. I hope you return in the near future. * South of 'John's Island' in prestigious Indian River Shores Community. Pristine private beach where you are often the only people on the beach. *Golf paradise with 15 golf courses in the vicinity! Central and convenient to all the best Vero Beach has to offer. * Private dolphin and manatee sighting boat trip or fishing boat trips available nearby. 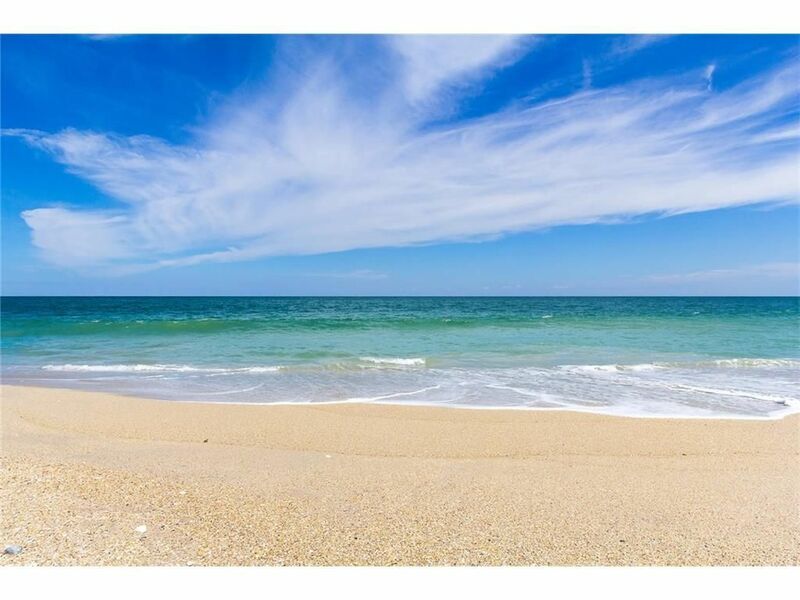 * Within 1 and 1/2 miles of Vero Beach's downtown, unique shopping, fine restaurants, farmer's market, marina, world class fishing, museums, theatre, golf and tennis, antiquing, biking trails and wildlife national park, airboat rides and more. * 3 blocks to CVS drugstore and 5 blocks to the Village Beach Market. * 5 miles from Vero Beach Sports Village, national Little League training center. * Eighty miles from Orlando with all its attractions, including Magic Kingdom, Universal Studios, Aquatica, Animal Kingdom , Epcot Center, Kennedy Space Center. * Sixty miles from West Palm Beach and West Palm Beach International airport. Six miles south of the Disney Vero Beach Resort, on same beach. Other Activities: Gourmet and family dining, unique shops and boutiques, golf and tennis, unusual museums (Mel Fisher's Treasure Museum, The Navy Seal's Museum), The Museum of Art, airboat rides, surf casting (fishing), sky diving, boating, shelling, sea glass collecting, outlet mall shopping, antiquing, bowling, polo, water sports (skiing, kite surfing and wind surfing), surfing, hot air ballooning. Within minutes, explore famous Pelican Island, bike The Jungle Trail, love McGee Botanical Gardens or share the excitement of a submarine ride at Harbour Branch Oceanographic Institute. Golf: Over 15 spectacular private and public golf courses in the county - a golfer's paradise! Contact owner, Maria Arroyave at: arroyave.m@gmail.com for savings with monthly rates. Weekly rental payments are made as $1,000 initial payment (plus website fee) and balance 60 days prior to arrival. Monthly rentals are paid in 3 installments, divided into: initial payment, second payment of 50% of the balance and final payment of balance. Last payment to be completed 2 months prior to arrival. Pool heating needs to be requested prior to arrival and is charged separately, at cost, as per meter reading of gas used. Prices quoted are for maximum of 8 guests. 2 additional guests allowed, for an additional fee of $250 each per week. An additional damage security deposit of $250 is required which is separate from the vacation rental security deposit.